Prof. Ernest Aryeetey says the current bill seeks to make the Minister of Education the ultimate decision maker for all universities and not their Councils. 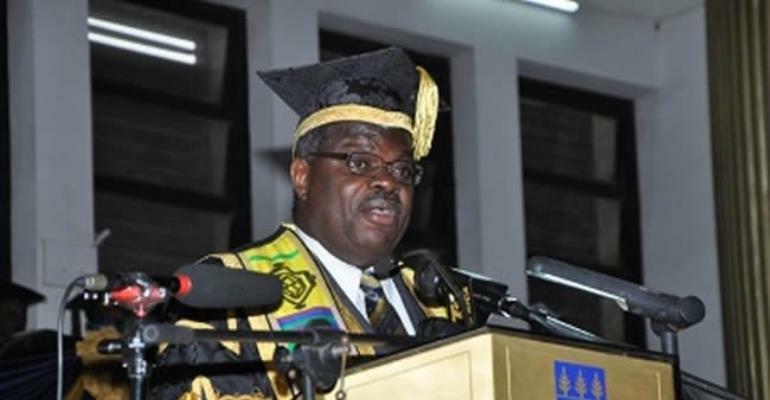 Wading into the debate, however, the immediate past former Vice-Chancellor of the country’s premier university, Prof. Aryeetey noted that the current bill seeks to make the Minister of Education the ultimate decision maker for all universities and not their Councils. “In effect, the Minister of Education knows best what is good for universities. It is indeed extremely dangerous that in Section 23, clause 2 a public university cannot enter into an agreement with any other ‘institution, whether academic or non-academic within or outside the country in furtherance of the objectives for which it was established, subject to approval by the Minister of Education, in consultation with the National Council for Tertiary Education’,” he added. 1. The basic premise of a harmonised Public Universities Act is wrong as it seeks to make all public universities ‘look the same’. The progress of universities worldwide is largely reflected in how different they can be from other universities or other institutions of higher education. Differentiation is generally seen as a major characteristic of university development. Societal progress is driven by academics and their institutions competing to generate new knowledge, and it is that competition which leads to differentiation and discovery. The Act setting up a university is expected to help define its character. As a consequence, universities cannot be treated with a “one size fits all” approach. This Public Universities Bill is designed to curb differentiation by taking away all incentives that promote competition and differentiation. Universities worldwide determine for themselves what their contribution to societal development should be. They know as well as anybody else what is required in their society. It cannot be the responsibility of the Minister of Education to determine that, issuing directives to public universities. 2. Even though the current bill talks about ‘academic freedom’ it takes away from every facet of academic freedom. The definition of academic freedom provided in the Bill is too narrow as it focuses on the freedom of speech of lecturers. If the Minister of Education can issue policy directives to the University, it will not be long before the Minister determines who can be promoted and who cannot be. If the Minister of Education can issue policy directives to public universities then there is no need for them to have Councils. 3. The process of taking away academic freedom starts with the appointment of a Chancellor. Whereas universities have followed the practice under the 1992 constitution of electing their own chancellors, the bill seeks to take away that right by making the appointment of a Chancellor the responsibility of the President. This is simply a method for politicizing the appointment of the Chancellor. 4. The role that is assigned the National Council for Tertiary Education in the development of harmonized statutes is extremely unhelpful. It means that Ghanaian public universities are not permitted to learn from international best practices and adapt their statutes and practices to these. The current statutes of University of Ghana were influenced in no small way by the recommendations of the Visitation Panel of 2007. No doubt, the University learned from its governance mistakes and corrected these with changes to its statutes. Taking away the right to develop its own statutes amounts to taking away the right to be innovative in governance. This is akin to the Ghana Education Service and its relationship with basic, junior and senior high schools in the country. 5. The current bill seeks to make the Minister of Education the ultimate decision maker for all universities and not their Councils. In effect the Minister of Education knows best what is good for universities. It is indeed extremely dangerous that in Section 23, clause 2 a public university cannot enter into an agreement with any other “institution, whether academic or non-academic within or outside the country in furtherance of the objectives for which it was established, subject to approval by the Minister of Education, in consultation with the National Council for Tertiary Education”. This clause effectively takes away every incentive that any serious academic will have for looking for partners to engage in research. It also takes away a major function performed by a Vice Chancellor seeking to be innovative. In any case, the NCTE is hardly equipped to carry out the new roles assigned to it by the Bill. 6. The Bill provides for a Centralised Admissions Platform even though there is no evidence anywhere in Ghana that the decentralised system currently in operation is defective or malfunctioning. This is another illustration of taking away every initiative that universities may have. 7. In sum, the Bill takes away any incentive for Ghanaian public universities to seek to be innovative and progressive. It is designed to stifle initiative and politicize universities under the full control of the Minister of Education.